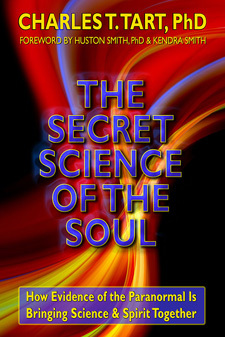 Dr. Charles T. Tart Official Home Page and Consciousness Library Online. Info on Transpersonal Psychology, Parapsychology, Consciousness, Hypnosis, Psi, Remote Viewing, Mindfulness. As well as a laboratory researcher, Professor Tart has been a student of the Japanese martial art of Aikido (in which he holds a black belt), of meditation and other psychological and spiritual growth disciplines. (See Bio.) Visit his regular journal (blog) for current commentary. Charles T. Tart is internationally known for his more than 50 years of research on the nature of consciousness, altered states of consciousness (ASCs) and parapsychology, and is one of the founders of the field of Transpersonal (spiritual) Psychology. His and other scientists' work convinced him that there is a real and vitally important sense in which we are spiritual beings, but the too dominant, scientistic, materialist philosophy of our times, masquerading as genuine science, dogmatically denies any possible reality to the spiritual. [...] Professor Tart writes: I am proud to finally announce the 2009 publication of what may be my most important book. Three+ years to write, fifty+ years to prepare to write. Read More . . .
Charles T. Tart. Transpersonal psychology, parapsychology, consciousness, hypnosis, psychology, mindfulness. Dr. Tart would like to thank the many publishers whose kind permissions have made the online library possible. All articles, papers and books are Copyright © to publishers and/or authors as noted. All rights reserved. All other website content and writing is Copyright © 1996-present by Charles T. Tart. All rights reserved, but feel welcome to make reasonable quotes, please link back to Dr. Tart's page - thanks!. of Dojo Psi and the TKR Project. All rights reserved.